One of the new fears I’ve experienced is that I will finally meet someone who I’ve only spoken to online and they will not be as lovely as I imagined. FitBloggin’ proved that some, if not MANY, of the people I’ve connected with online really are as wonderful as I imagined. Great example – Monica from Run Bang Run. I was elated to finally see her and overjoyed to find her to be genuine and just the real deal. Then, there was Alan Ali. I have to admit to feeling like I was meeting a celebrity when I finally saw Alan. 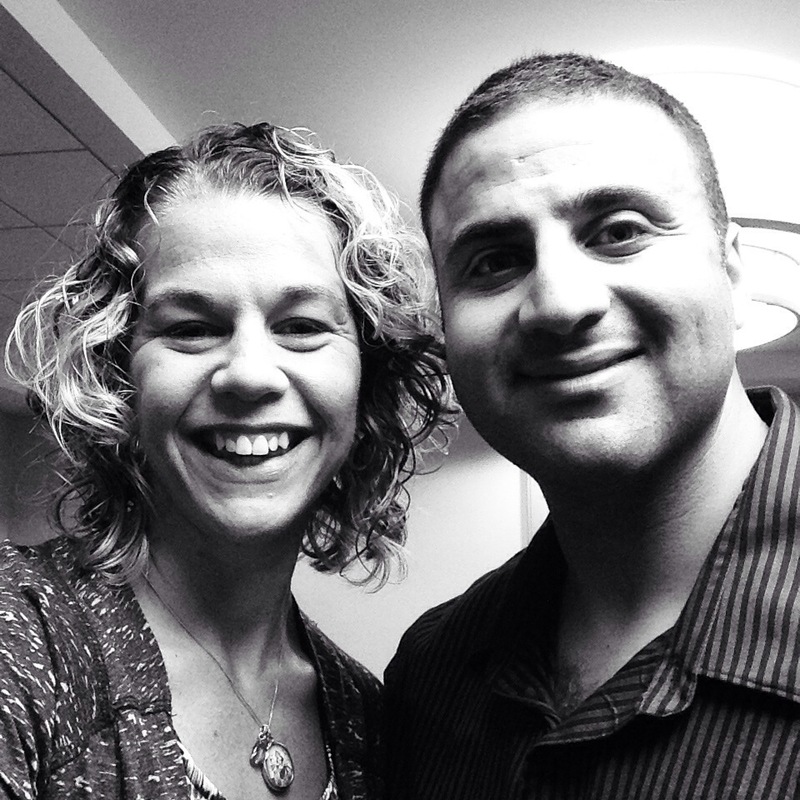 He’s endlessly supportive and has a story that inspires each of his readers every day. In a moment I’ll never forget, I was going up an escalator while Alan was going down on the other side. I waved hello and shouted that I was so excited to finally meet him. Alan turned around and ran up the down escalator as I shouted “No! I’ll see you later! Don’t hurt yourself!” He waved me off, jumped off the escalator and bear hugged me. On Day 2, Alan hugged me again and said “You’re awesome. I just want you to know that.” And there’s just something about who he is and the way he says it that you really believe him. Again, simply the real deal. 2. You can be completely comfortable telling your life story to complete strangers. Yep. I sat down and told mine at least 15 times throughout the weekend. It is cathartic and wonderful to be surrounded by a group of people who are on a journey of some kind – whether it be to representing the USA in an international competition (check out Allie Burdick) or to being a better version of yourself. The bloggers at this conference are each on their unique journey, but they are gracious and welcoming because they know how grueling and difficult the journey can be. It was like finding my tribe. 3. Be unapologetic about who you are. My session on the Introvert’s Guide to Blogging included great words of wisdom from Tasha, words reinforced by the group as a whole. Do not apologize for taking care of yourself. Do not apologize for being who you are. As an introvert spending the weekend among strangers, I needed some down time and I decided to take it without feeling guilty. I ran alone, I walked around the city alone and took naps. That down time re-energized me and gave me the strength I needed to engage for the rest of the weekend. No apologies necessary. So, if you don’t write a post for your blog for the next 3 weeks because life gets in the way, don’t apologize. Write when you can and move forward. 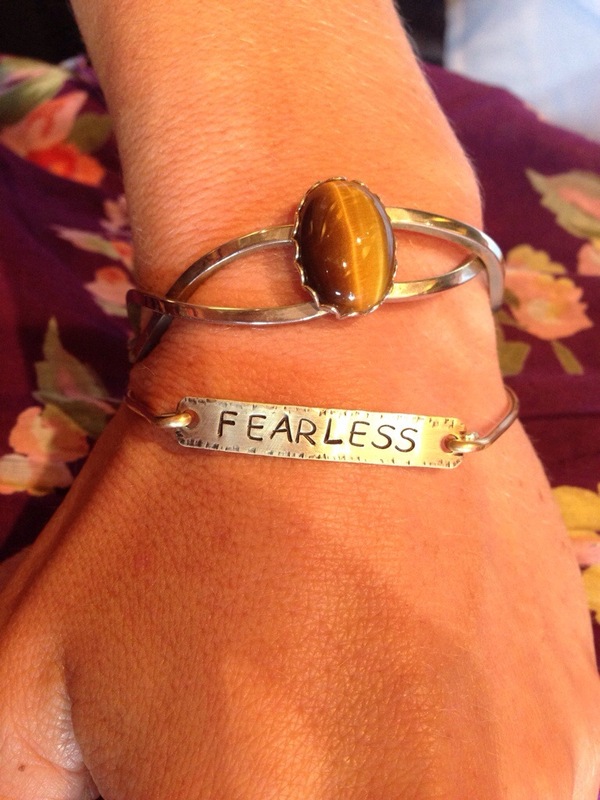 My @bama_ry bracelet with my new motto – paired with my great-grandmother’s cat’s eye bracelet. 4. If you want to be taken seriously as a blogger, start thinking like a journalist. When I saw the list of speakers at this year’s conference, I mentioned to my husband that a woman from ESPN would be speaking. When I pulled up her name and said “Do you know the name Stephania Bell?” he grabbed his laptop and pulled up a podcast he listens to regularly. Turns out she is an injury reporter for ESPN, highly respected among the Fantasy Football players of the world, as she predicts the length of time needed for recovery from injured players. 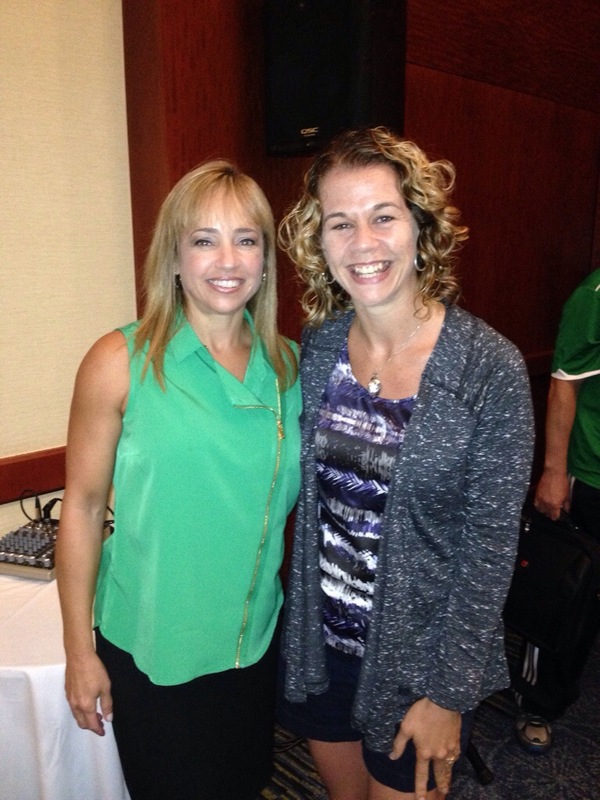 Stephania’s presentation on how to build a respected blog was one of my favorites from this year’s FitBloggin’. Her message? Start thinking and acting like a journalist. She built her career at ESPN by building a blog that was respected as a source of information that was well-researched and written. Though not a journalist, she took her knowledge as a physical therapist, her love of Fantasy Football and combined the two in to a resource that helped build her new career. Those are words I’m taking to heart. 5. I do not want to make a career from blogging. Sounds like blasphemy, right? 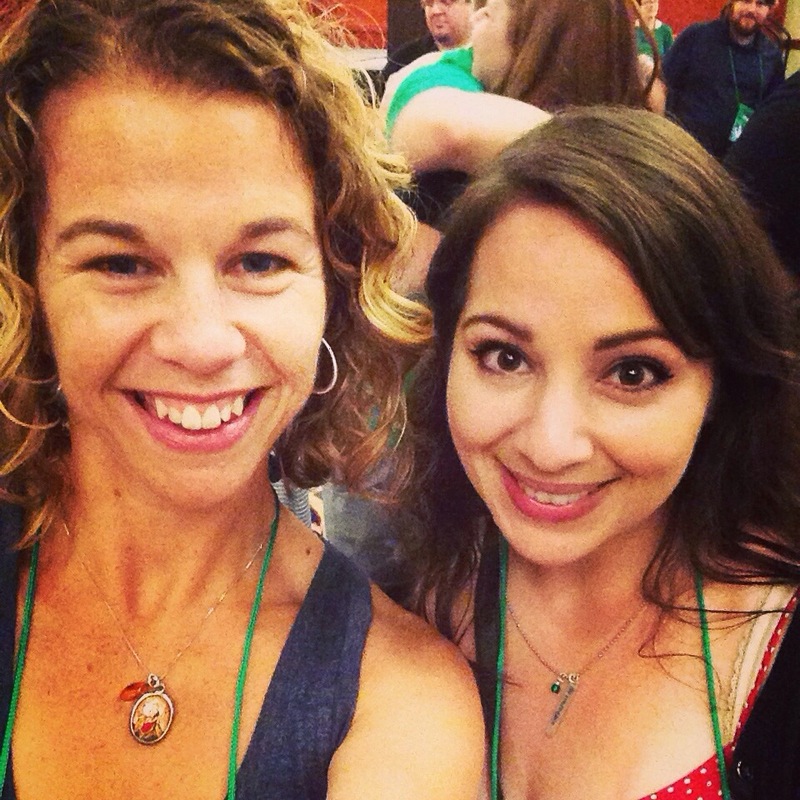 I just got back from a blogging conference and I don’t want a blogging career? No. I listened to several sessions on monetizing, marketing and something called “backfilling ads” and while I respect the work that these bloggers do to earn their living, it will probably never be for me. This conference helped me clarify for myself that what I truly want is a career in FITNESS that I can then write about on my blog. I want my blog to be a resource for future clients, future yoga students and a source of inspiration for my readers. I don’t see myself ever investing the time to have my blog generate income. That doesn’t mean I’m abandoning it or not going to work to improve it, but it does mean that I’m going to set the thoughts of monetizing aside for the time being. 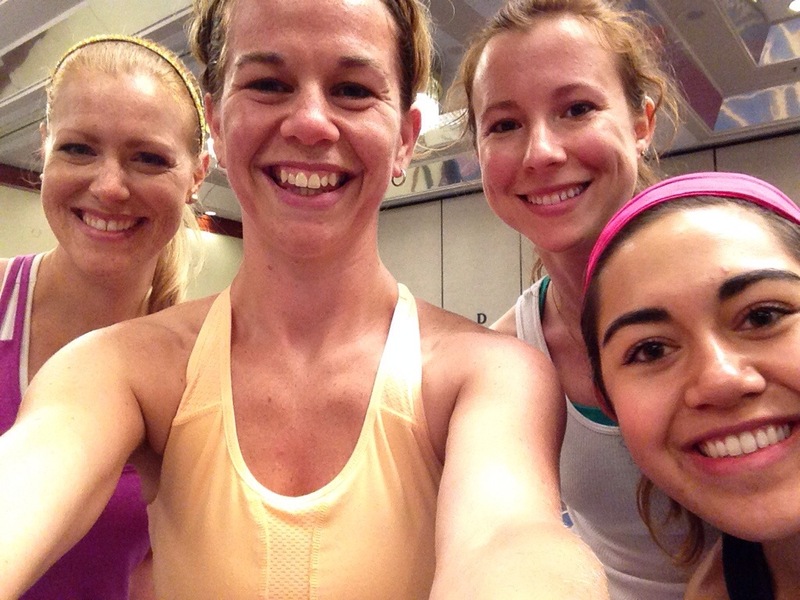 FitBloggin’ 2015 is scheduled for Denver, Colorado and I’m already looking forward to it. In the mean time, I’m going to put in to action many of the ideas and words of wisdom I took home with me. I’m grateful for the experience, for the beautiful people I met and for the journey ahead.